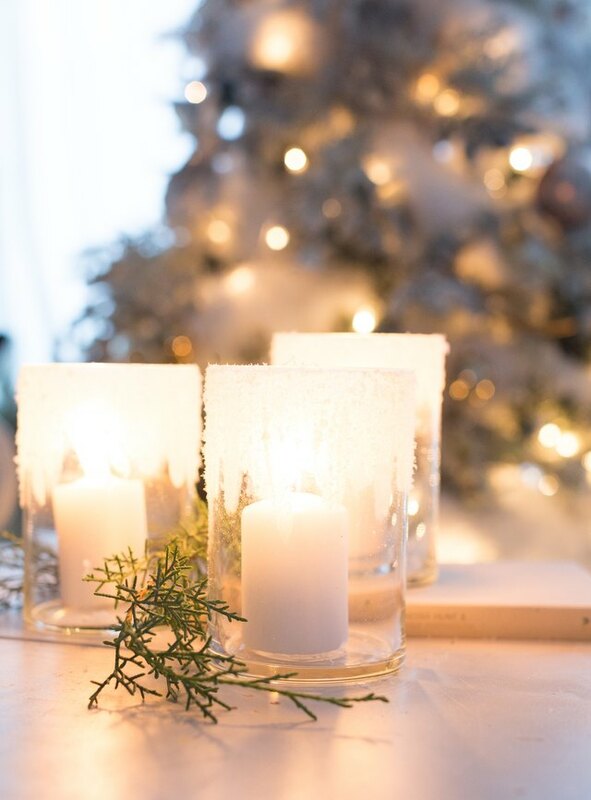 The holidays are the perfect time to infuse your home with the warmth of twinkling lights, roaring fires and of course, flickering candles. 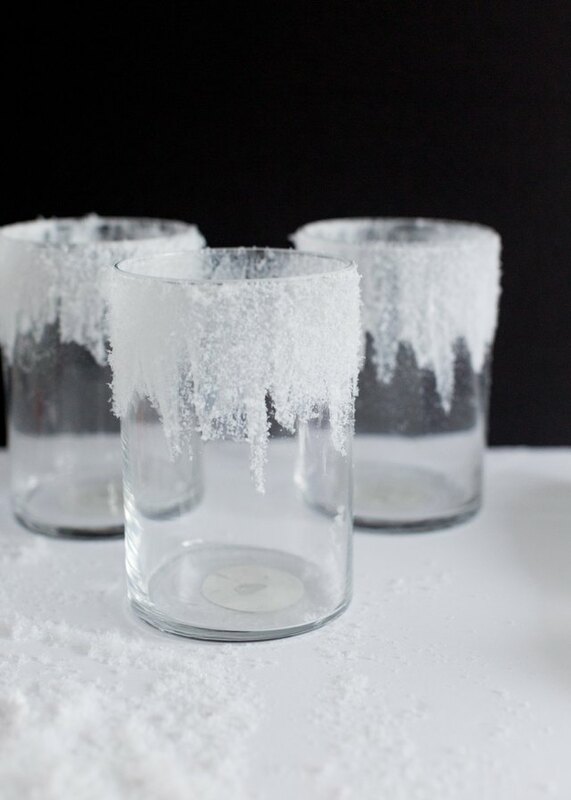 These easy to make iced votives add a beautiful touch of whimsy and can be used beyond the holiday season and throughout the winter. 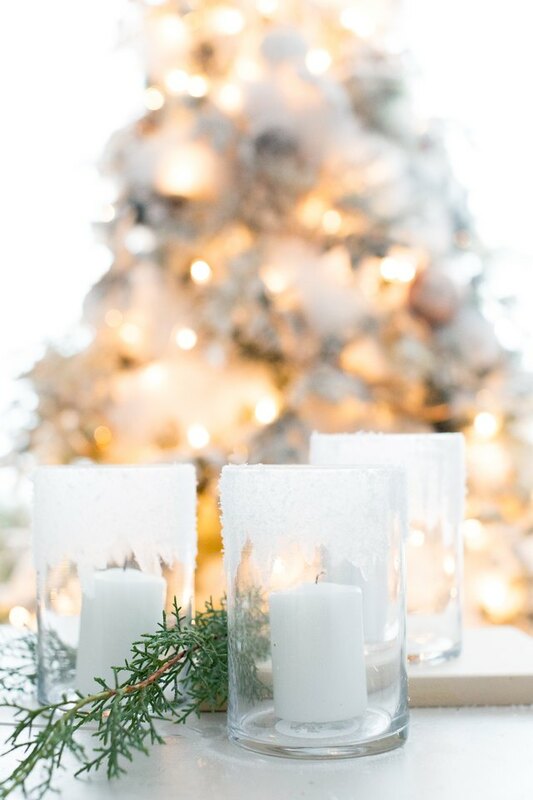 Reminiscent of the beautiful snowy outdoors, these pretty little votives bring the outdoors in. 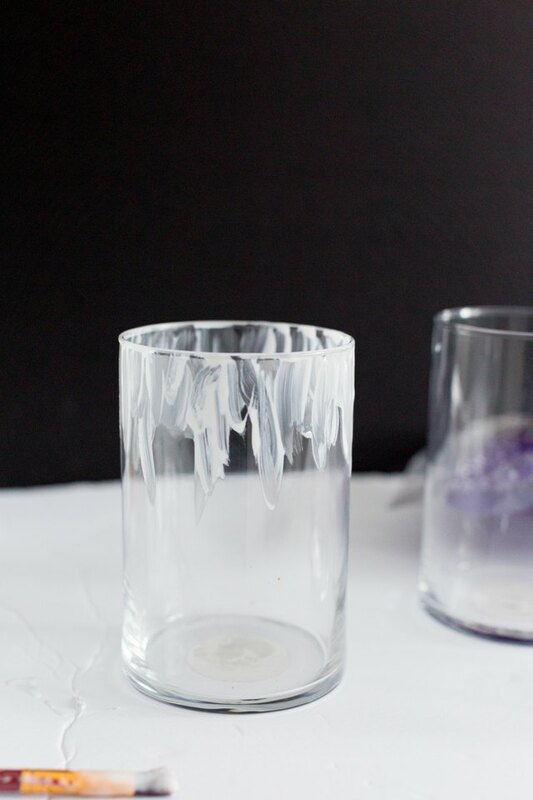 Dip brush into glue and paint several organic strokes vertically from the top of the jar downward. 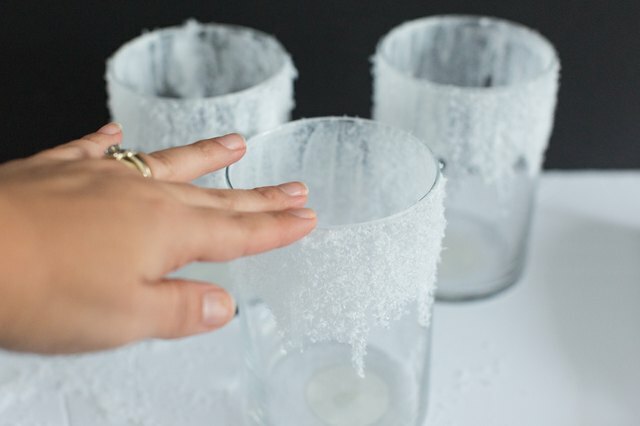 Quickly dip the glass over the faux snow, glitter or Epson salt, shaking off any excess. 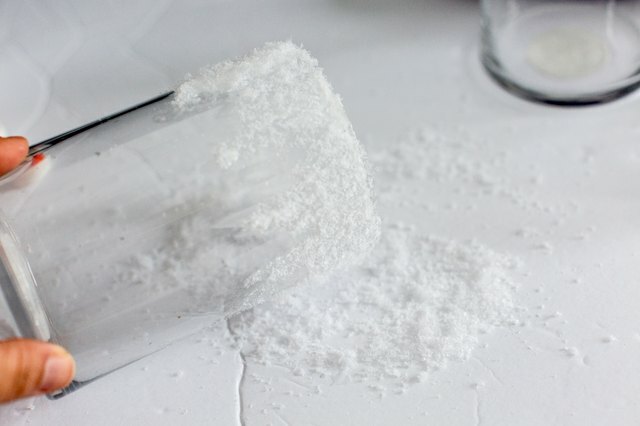 Wipe clean the rim and inside of the jar, ensuring there is no residue. 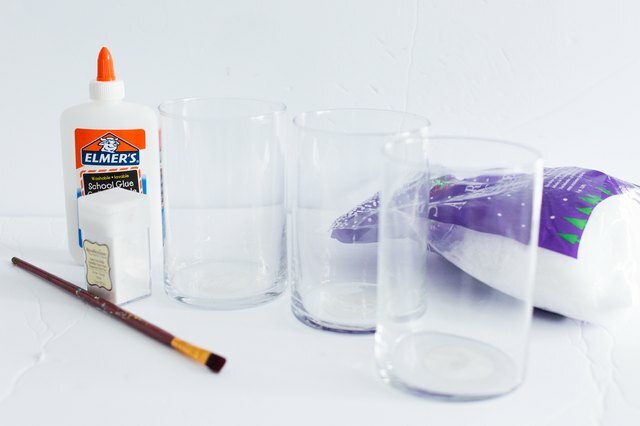 Allow glue to dry completely. Place a tealight or battery tealight candle inside.